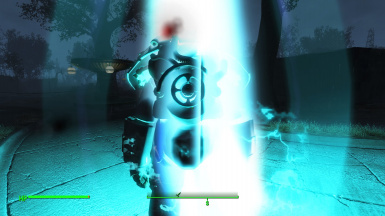 Craft special relay beacons which teleport your most recently-worn power armor to your location. Special delivery! 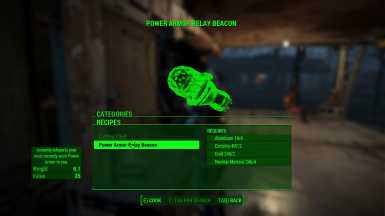 Thanks to new Institute technology, a clever survivor can construct Power Armor Relay Beacons at any chemistry station. When used they transport your most recently-used suit of power armor to your location. As it currently stands this mod is not particularly balanced, nor does it make much story sense. Future versions made with more sophisticated mod tools will include Vertibird drops, a special torso mod required for teleportation, a "registry" of modded armors from which you can select a specific suit to use, and many other options. Check out Orvid's Caprica, the first working Papyrus compiler for Fallout 4. This mod would not have been possible without it.